What is Delivery Dog Walking? It’s when Zipidy Do Dog Daycare comes to your home to take your dog out for a walk around the neighborhood. This is the perfect solution for those who do not have the time or energy to walk your dog. Give your dog a present and schedule a walk today, your dog will enjoy the exercise and fresh air, as well as make new friends with our dog loving walkers!!! 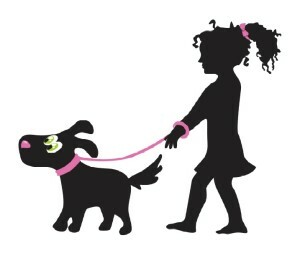 Our dog walking hours are flexible! Call to make an appointment today! We can even put your dog on a walking schedule! We prefer all dogs wear a harness when walked by Zipidy Do Dog Daycare employees. Harness exceptions can be made based on approval from Zipidy Do Dog Daycare employees and/or management. Each walker carries treats for positive reinforcement with good behavior. If your dog has any allergies or you simply would prefer your dog not to receive any treats, please let us know! As a safety precaution all our dog walkers will also carry “Spray Shield” in order to keep your dog safe in an emergency situation. “Spray Shield” is a Citronella Spray and is used to deter most dog aggression in a fight situation. Our employees are properly trained to keep your dog safe and give your dog a wonderful time while walking!